The iFixExpress mobile repair service is available 7 days a week. This premier call out service is available across London, Kent, and Essex. Macintosh and PC Software and hardware technology is constantly changing and our engineers are continually updating their skill set in order to be able to handle any obstacle that may come there way. 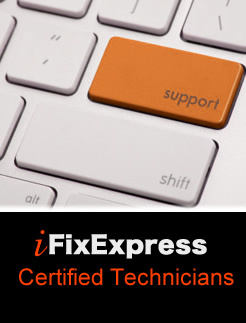 Installations, upgrades, support and repairs are carried out by our iFixExpress ® Certified Technicians. All our work is guaranteed and you are left with the security and peace of mind that your treasured items our in safe hands. In what is a very competitive market iFixExpress Technician’s provide the highest quality repair, support, and solution service for your personal or professional set up. Our call out/we come to you service in many cases is available the very same day, so theres no waiting around to get that all important Mac, iPhone, iPod, iPad, Galaxy S3 – S4, Galaxy Tab 2, Xbox, and Kindle Fire HD fix. We are also experts at Macintosh OS and Microsoft Windows integration be it via Apple Bootcamp or Parallels, or even at the higher end with Xserve (server) or Mac Mini server integration. We pride ourselves on offering a great all round service for your IT setup, Macbook Pro, Macbook Air, iMac, even vintage models like the iBook, Power book, and the Power Mac G5. We’ve got you covered. Our expert Technician’s can be booked to come to your home, office, or evan you hotel room and provide a timely solution. On site iPhone screen and on site iPad screen repairs are very popular. If you have dropped and cracked you iPhone or iPad we can get one of our engineers out to you and get you item fixed like new again. Mobile Technician’s Coverage: N1, N2, N3, N4, N5, N6, N7, N8, N9, N10, N11, N12, N13, N14, N15, N16, N17, N18, N19, N20, N21, N22, NW1, NW2, NW3, NW4, NW6, NW7, NW8, NW9, NW10, NW11,W1, W2, W8, W9, SW1, SW3, SW5, SW6, SW7, SW10, SW11, WC1 ,WC2, EC1, EC2, EC3, EC4, W2, W3, W4, W5, W6, W7 ,W8, W9, W11, W12, W13, W14, E1, E2, E3, E4, E6, E7, E13, E14, E15, E16, SE1, SE2, SE3, SE4, SE5, SE16, SE8, SE9, SE10, SE11, SE12, SE13, SE14, SE15,SE18, SE19, SE20, SE21, SE22, SE23, SE24, SE25, SE26, SE27, and SE28. 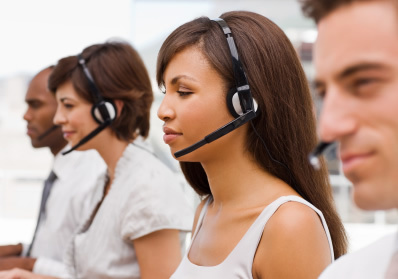 Our expert call team is standing by ready for your call, So if its a cracked iPhone screen, a dropped iPad with faulty digitizer, a water damaged iPod, or evan issues your may be experiencing with your mac your only one step away from the iFixExpress solution. Please use the contact form to the right for a free no obligation quote, and for a full list of areas covered for this service (click here). Remember we do not charge call out fees so why not drop us a line or call us on 0845 8340933 for the best mobile Xbox iPhone, iPad, and Mac Repair London. As a repair and support company we get many different types of job requests coming through to use on a daily basis. Below is just a few popular requests we receive. I have not dropped the device or anything it just appears to have developed a fault. I have searched web and this is a common fault. I am now out of warranty. Can you help and what sort of cost is involved with such a repair? (Kerry - Bromley).